For the Coptic pope from 505 to 516, see Pope John II (III) of Alexandria. 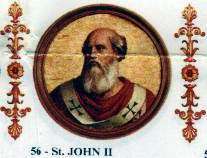 Pope John II (Latin: Ioannes II; 470 – 8 May 535) was Pope from 2 January 533 to his death in 535. Born in Rome as Mercurius, the son of Projectus, he became a priest of the Basilica di San Clemente on the Caelian Hill. 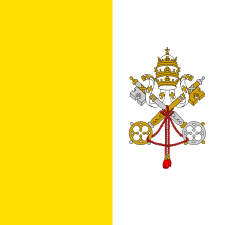 He was made pope on 2 January 533. The basilica of St. Clement still retains several memorials of "Johannes surnamed Mercurius". Presbyter Mercurius is found on a fragment of an ancient ciborium, and several of the marble slabs which enclose the schola cantorum bear upon them, in the style of the sixth century, the monogram of Johannes. 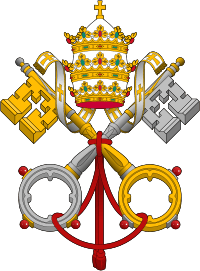 Mercurius was the first pope to adopt a new name upon elevation to the papacy. Considering his birth name to be inappropriate—it honored the pagan god Mercury—he took the name John after Pope John I, who was venerated as a martyr. 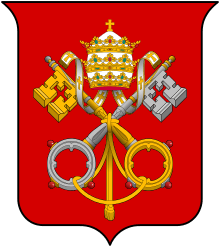 At this period, simony (the purchase or sale of church offices or preferment) in the election of popes and bishops was rife among clergy and laity. During the sede vacante of over two months, "shameless trafficking in sacred things was indulged in. Even sacred vessels were exposed for sale". The matter had been brought before the Senate, and laid before the Arian Ostrogothic Court at Ravenna. The last decree (Senatus consultum) which the Roman Senate is known to have issued, passed under Boniface II, was directed against simony in papal elections. The decree was confirmed by Athalaric, king of the Ostrogoths. He ordered it to be engraved on marble and to be placed in the atrium of St. Peter's Basilica in 533. By one of Athalaric's own additions to the decree, it was decided that if a disputed election was carried before the Gothic officials of Ravenna by the Roman clergy and people, three thousand solidi would have to be paid into court. This sum was to be given to the poor. John remained on good terms with Athalaric, who, being an Arian Christian, was content to refer to John's tribunal all actions brought against the Roman clergy. The Liber Pontificalis records that the following year John obtained valuable gifts as well as a profession of orthodox faith from the Byzantine emperor Justinian I the Great, a significant accomplishment in light of the strength of Monophysitism in the Byzantine Empire at that time. The notorious adulterous behavior of Contumeliosus, Bishop of Riez in Provence, caused John to order the bishops of Gaul to confine him in a monastery. Until a new bishop could be appointed, he bade the clergy of Riez obey the Bishop of Arles. 217 bishops assembled in a council at Carthage in 535 submitted to John II a decision about whether bishops who had lapsed into Arianism should, on repentance, keep their rank or be admitted only to lay communion. The question of re-admittance to the lapsed troubled north Africa for centuries (see Novatianism and Donatism). The answer to their question was given by Agapetus, as John II died on 8 May 535. He was buried in St Peter's Basilica. 1 2 3 This article incorporates text from a publication now in the public domain: Mann, Horace K. (1910). "Pope John II". In Herbermann, Charles. Catholic Encyclopedia. 8. New York: Robert Appleton. ↑ Wace, Henry; Piercy, William C., eds. (1911). "Joannes II. Mercurius, bishop of Rome". Dictionary of Christian Biography and Literature to the End of the Sixth Century (third ed.). London: John Murray. Wikimedia Commons has media related to Ioannes II.